Many customers ask: What is the proper blade tooth pitch or "Teeth Per Inch" (aka TPI) or pitch I need? To achieve a smoother, more refined cut it is important to choose a blade that has the tooth configurations you need. More teeth should be used on thinner materials and may require a reduced feed rate. 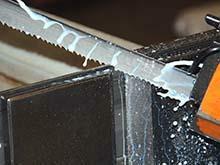 Thicker materials require a less TPI blade, but they will get you a faster cut rate. 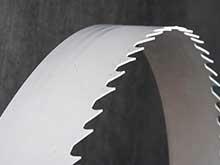 Most resaw blades feature a low TPI configuration. 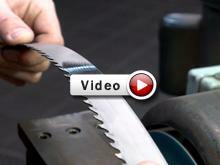 The video here, has been developed by sawblade.com and offers easy guidelines for TPI selection based on material thickness. This video will help you chose the correct tooth configuration you need too get your job done right.